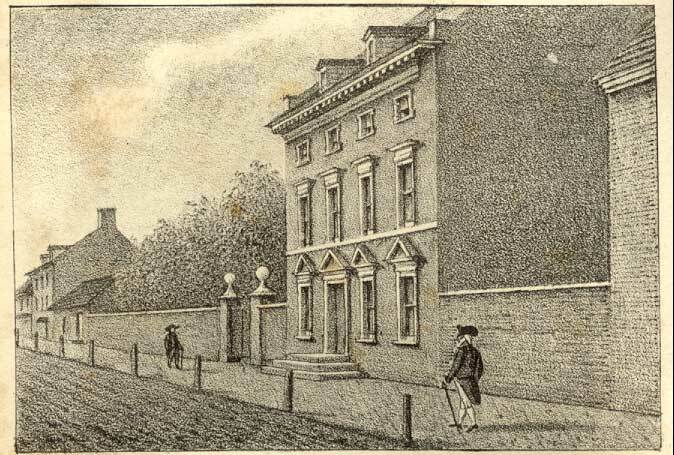 English: "Residence of Washington in High Street, Philada." Source/Photographer John Fanning Watson, Annals of Philadelphia (1830), opp. p. 361. This file has an extracted image: File:Philadelphia Presidents house.jpg.